Server Maintenance on March 21th. All starter eidolons, Kotonoha, Tsubaki, Serena, Endora, Vermillion and Shirayuki. A total of three new quests than can only be completed once per account and grants several eidolon related rewards, like new Eidolon Crystal Exp Crystals that gives your eidolon a huge experience bonus. - Increased Eidolon key fragments drop chances from killing Eidolon bosses in regular and Abyss dungeons. - Added general damage reduction effect to tiers of fortifying Eidolon Accessories and Symbols. Reaching certain fortification milestones now would reduce the Eidolon's damage taken. - Decreased Eidolon Points given by certain Gaia Emblems. Addition of "Abandoned Mine" and "Hell's Gate" Nightmare Revelations Dungeons (Solo and Party Mode). * Both of them can be accessed from Demarech Mine and Oblitus Wood. You can only access the dungeons twice a day. * Nightmare Revelations Sigils can be exchange for two different type of Fortune Boxes. * The NPC to exchange the Nightmare Revelation Sigils can be found at the entrance of both dungeons. - Equipment Recast Stones of various types. - Mount Reshuffle Stones of various types. - Holy Water Costume Restructuring Solution and Advanced Secret Stone Randomizers. 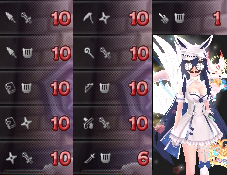 - 1 Day Charms of various types. - Blessed Limit Breakers of various types. - Movement Speed Buffs of various types. - Golden Weapon Conversion Scroll. - Nightmare Revelations exclusive mounts. Available for seven days, from March 21 to March 28. This week's Paragon Table has been inspired by the love to electronic music and is filled with a cyber vibe! Ornaments, costumes weapons, accesories and mounts to give you a futuristic look on a high note. - Release of Electronic Music Singer Costume Set. - Hermes Key of Gaia, Fragments and Accessory. - Microphones and Guitars Costume Weapons. - Music Diva, Kitty Rockstar and Rock of Ages Costumes. - Cyber Trooper Costume Srts. - Hoverboards and Magma Bikes. The true Nightmare will be revealed this week on our AP Store, because you won't be able to decide between our new costumes and the multiple Eidolon Keys you will find in there. 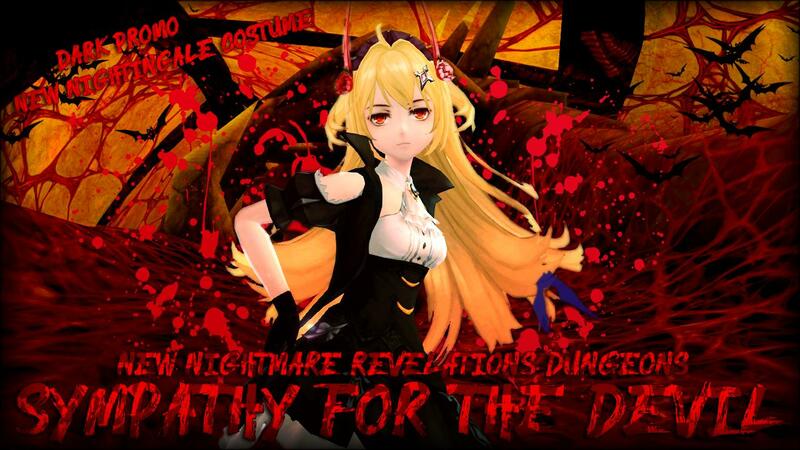 With the release of the Nightingale Costume Set and the Wings of True Night and Blood, we will have a special dark eidolons collection: Elizabeth, Nidhogg, Morrigan, Hades, AND MORE! Since too much evil might kill you, we want to balance our world with a special "Divine" inspired Loyalty Promotion. What you will find in there? The release of the new Divine Feathers Dual Blades. Chronos's 3rd evolution Costume. Michael's Divine Armor Costume. Michael's and Chronos's Keys of Gaia and Fragments. AND MORE! Promotions will be available for one week, from March 22th to March 29th. Our experience and Sky Tower Schedule has gone back to normal. You will still be able to obtain the Cubic Power Panel during this weekend. Our Seryuu 3rd Evolution Form has been delayed another week, but we will finally see her awakening next week, together with a special asian-inspired Paragon Table. Enjoy! A total of three new daily quests than can only be completed once a day per account and grants several eidolon related rewards, like new Eidolon Crystal Exp Crystals that gives your eidolon a huge experience bonus. Corrected some information about the new dungeons restarts.
" A total of three new daily quests than can only be completed once a day per account and grants several eidolon related rewards, like new Eidolon Crystal Exp Crystals that gives your eidolon a huge experience bonus. " Last edited by Solituude; 03-22-2019 at 04:36 AM.